4 wheel drive, motor runs good, transmission was rebuilt by a local shop 3 years ago, new rad at the same time, tires in good shape. 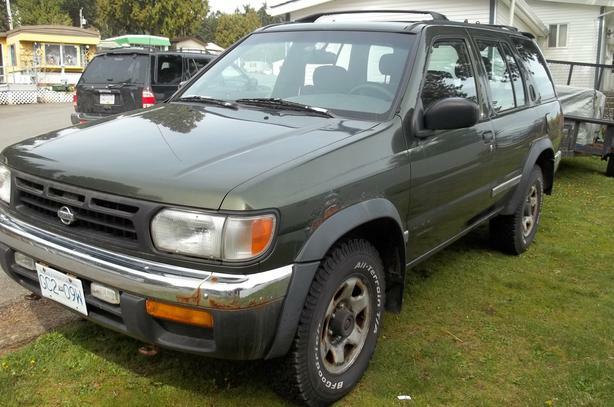 bought another pathfinder and don't need this one. Some rust but would make a good bush vehicle.